My biggest challenge going gluten-free was coming up with breakfast ideas. I hope this breakfast (or “brekkie” as the English say) idea helps you. 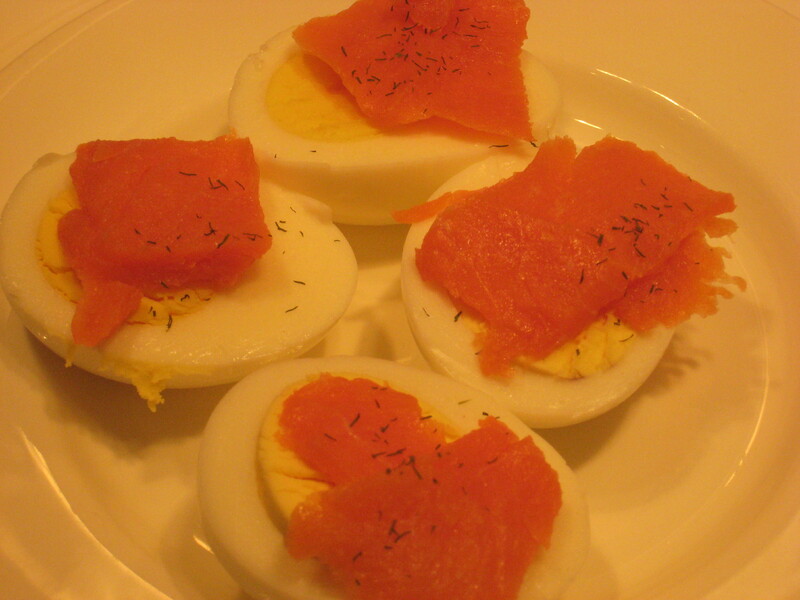 I often eat boiled eggs and was looking for a way to gussy them up . I think this would also work for brunch guests. Ehhh, maybe I would make that one, because it looks easy (even to me! ), but I’m still afraid of salmon. Maybe a coupla months on the West Coast will open my mind. I’ll say this, however; that is one gussied-up brekkie.